Multi-unit dwellings have been the darkhorse of EV adoption. A substantial proportion of potential EV drivers park on the street or in parkings lots for apartment buildings or condos. Street charging is still difficult to come by and won’t allow for overnight parking in most cities. Parking spaces in either situation are hard to equip with charging stations, especially if you’re a renter not invested in the property. A few cities have started forcing developers to include charging stations for dwellings accommodating a certain number of percentage of units. It seems to us every new unit, whether multi-family or single-family, should include at least a 240V outlet, at least for washing machines and dryers. But the sooner municipalities require that new developments have wiring in place for EV charging needs (or even require the stations themselves), the better. As soon as multi-unit dwellings routinely offer charging stations, we can expect EV adoption to get a welcome boost. Work on the EV Connect projects noted above has already started and the company tells us all locations will be operational within 15 months. One thing we found of interest is that EV Connect says it will make its charging and some of its management data available to Electrify America in order to build a more robust platform. 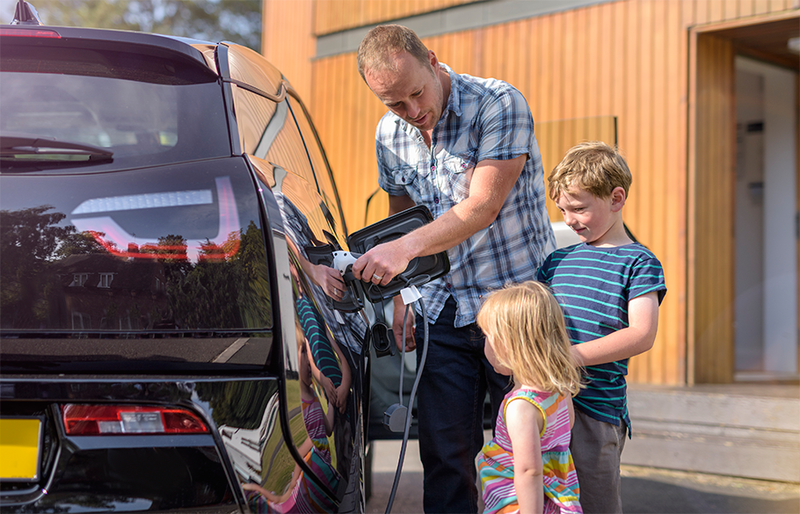 But the thing we like the most about EV Connect is that it not only is one of the nation’s largest charging station providers, but it is based on an open, standards-based platform for EV charging. This is something we welcome since charging protocols should be open in order to make adoption as swift as possible. Recent New York State Energy Research Development Agency (NYSERDA) Cleaner Greener Communities and California Energy Commission (CEC) West Coast Electric Highway program grants made it possible for EV Connect to complete key ecosystem buildouts in New York and California. And what’s not to like about giving multi-unit residential properties and workplaces EV charging stations? You can follow EV Connect on Facebook, Twitter, LinkedIn, Google +, YouTube, and Instagram.